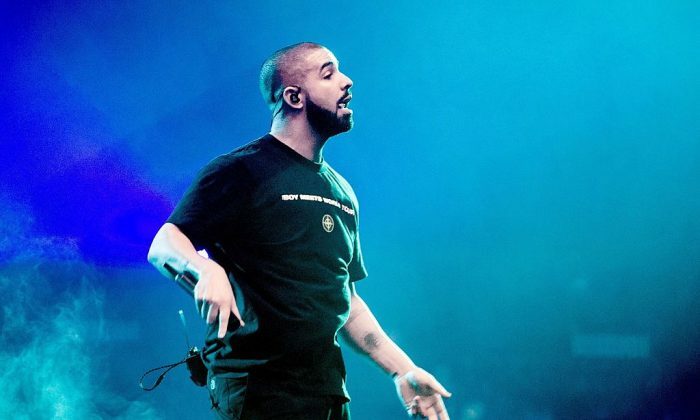 Drake came to the defense of female fans at a concert in Australia by telling a frisky concertgoer that he would beat them up if the person continued to do what they were doing. Drake was in Sydney as part of the Australia and New Zealand leg of his The Boy Meets World tour. He was performing at an after party at nightclub Marquee Sydney after a performance at Qudos Bank Arena when the incident happened. In a video uploaded by Instagram user louisesukari, Drake stops rapping and yells into the audience at a concertgoer. He then turns to his audio techs and tells them to turn the music down. “Yo, stop that [expletive],” he says, referring to the music. Drake then turns back to the audience member. “If you don’t stop touching girls, I’m going to come over there and [expletive] you up, bro. I’m not playing with you, bro. I’m not playing with you. If you don’t stop putting your hands on girls, I’m going to come out there and [expletive] you up myself,” he said to cheers from the audience. Drake then mouths something not picked up by the mic, still addressing the perpetrator. He says something to his DJ and continues the show as what appear to be security guards enter the crowd with flashlights. Based on a cached copy of a now-deleted page from Marquee Sydney’s website, the after party was on Wednesday, Nov. 15. The Qudos Bank Arena puts the show as his last of three performances at the arena. Are you a Drake fan or a fan of entertainment news and want to read more? Then please share this article with your friends so we can continue to bring you the stories you love. Thanks!